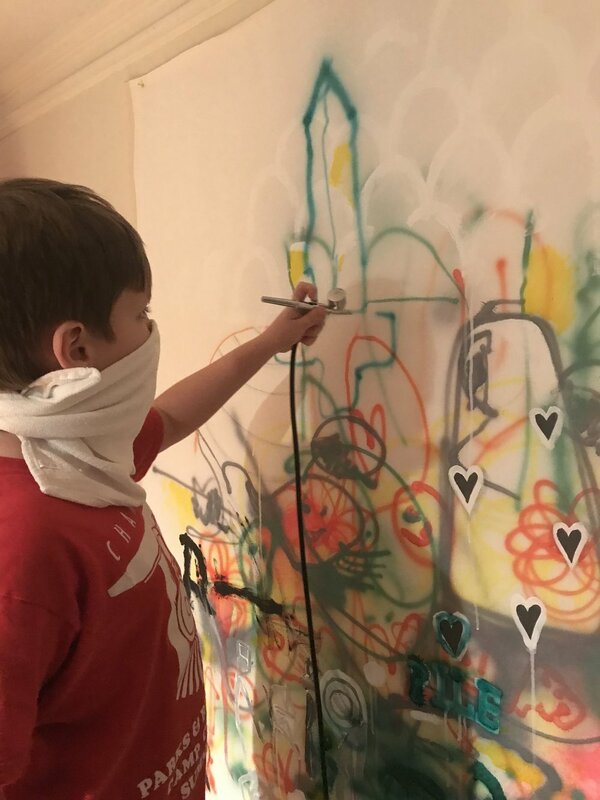 There ain't nothing like painting with a kid! 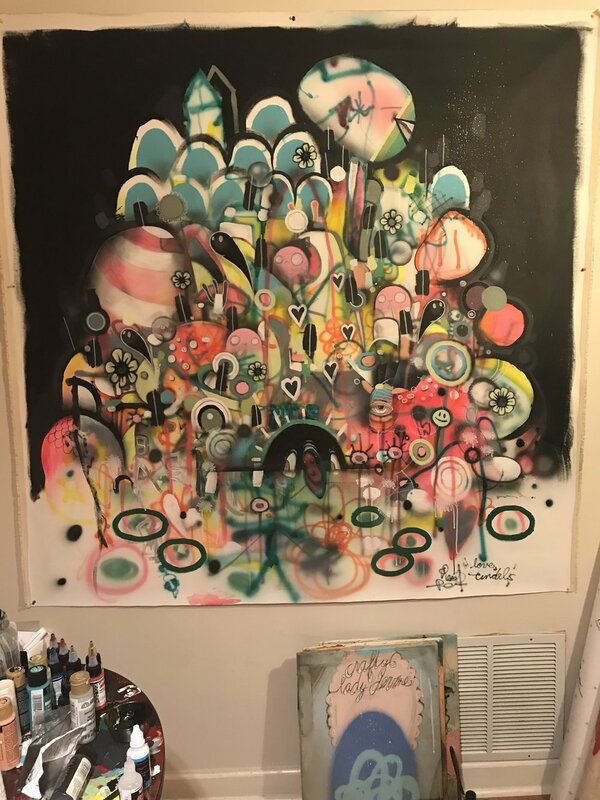 I have been painting in Atlanta for about 16 years now, and I have never tried to make a series of paintings. My brain doesn't like repeating things, it is always going for new creative attempts. However, I finally thought of a series that the Fine Art brains can follow. I call my next series "PILE". Yeah, they are just piles of mega-awesomeness. However, this PILE is extra special because I made it alongside my 9-year-old son. I recently bought an airbrush gun and that boy loved it... so I let him go nuts. As he was painting I came behind him and added my stuff. The piece turned out awesome and it is 6'x 6'. This first one is super special because it was created with my youngest son. I bought an airbrush gun and the boy loved it. I let him start his painting, then I would take a few turns, then him, back and forth. What happened was a colorful, playful pile of lines that only a kid could make. My favorite painting so far! Will post finished piece Feb 12, 2018. Follow the creative life on Instagram!